Welcome to another edition of the Dolly Insider Interview. On February 12, 2016 Groove Inc. provided their fans with a list of authorized retailers. Though this list was not complete, there were several shops on the list that doll collectors were familiar with like Jolie Doll, Plastic Pop and Pullip.net, and Pullip Style. But there were many shops on the list that collectors never realized offered Pullip dolls. Update: Due to events in Belgium we have removed part I. If you missed the first part of our Getting to Know series then click here to get caught up with the first interview which featured the Belgium doll shop Pullip World. 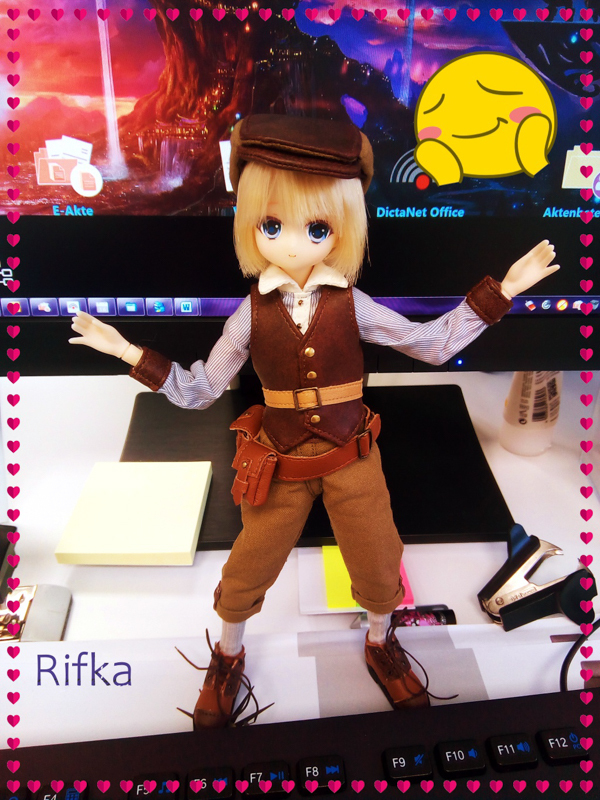 In today's Getting to Know Interview, we're getting to know, Pullip.Asia & why Jules Law started the company. FYI: Be sure to read all the way to the end of the interview. Pullip.Asia has a special code for you, the Dolly Insider reader 🙂 & discover how you can get an entry into the Dolly Insider Interview Giveaway. Please tell us about Pullip.Asia. Where are you located? 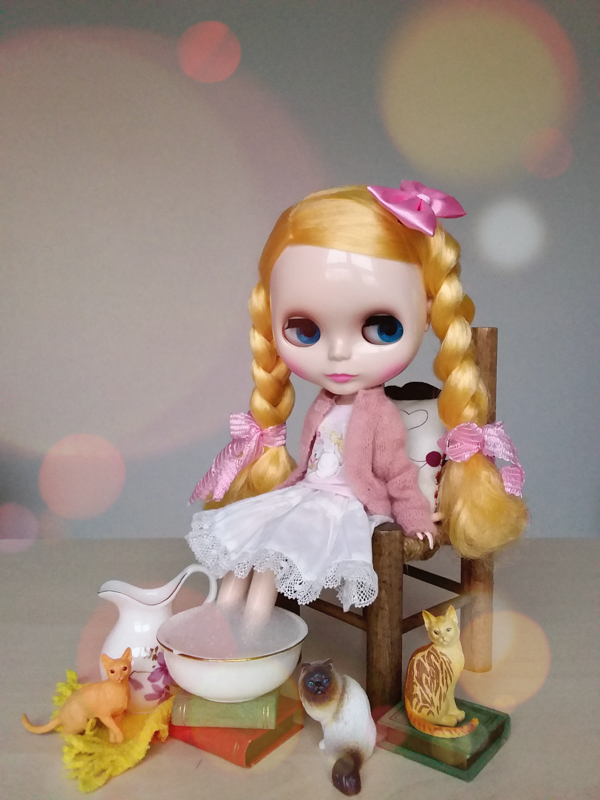 How long has Pullip.Asia been in business, and what inspired the creation of the shop? Pullip.Asia is an online shop solely dedicated to Pullip dolls and we have been in business since 2014. We are also the only authorized Groove retailer in Malaysia and Singapore. I used to run a different toy shop and a customer asked me if I could help ordering some Pullip. I said yes and that’s how I got my first Pullip sale. I wanted to learn more about Pullip so I joined a few social media groups and online forums, which then led me to more buyers. Right when I had enough orders to import, the shop that sold me Pullip back then couldn’t provide all and I ended up having to cancel a lot of orders. Though it was a setback, it made me even more determined to sell Pullip. I was ready to invest but I also knew that I had to find a more reliable source. So I got in touch with Groove, signed some papers and here we are. What types of products do you offer? Are all your products 100% genuine? We have Pullip, Isul, Taeyang and Dal dolls, which are all part of the Pullip brand. I don’t think we have brought in any Byul so far because her line seems stagnant but if she gets any new release in the future, we’ll definitely have her. Of course, we would gladly help anyone order Byul or any Groove doll they want – just email us. Yes, everything that is being sold at Pullip.Asia is 100% authentic. What is 1 thing you wish visitors knew about Pullip.Asia? That would be our biggest challenge, which is to cope with shops selling counterfeit Pullip dolls in Asia. Unlike fake Blythes, these counterfeit Pullip dolls are very convincing rip-offs and shops that sell them dupe Pullip fans into thinking they are getting the real product, often at a lower price. So when we marketed ourselves for selling authentic Pullip, some thought we were only disparaging our competitors for selling cheaper than us. What they didn’t know was the shops they were honorably defending had been selling them counterfeits all along. The Chinese counterfeiters that distribute to them are extremely fast and efficient in what they do. Based on our observation, every time a new Pullip hits the market, they would have their counterfeits in the Chinese market too, ready for global distribution. Groove knew about the problem all along but they didn’t raise awareness among the Pullip community until recently. Kudos to Groove for finally making their stand. On your site you mention you offer an Authenticity Guaranteed with Lifetime Money-Back. What does the lifetime guarantee cover? We are very serious when it comes down to the authenticity of our products. That is why we offer this guarantee as a pledge to our customers that they can have their money back at any given point of time if what we sold them isn’t genuine. We’re very confident because 100% of our Groove products originate from their official registered factories with invoices of authenticity, original packaging and authenticity tags. Are you currently running any sales or promotions that you would like to share with our readers? Readers of The Dolly Insider can get a 10% OFF normal priced items on Pullip.Asia when they use this Coupon Code “STOPFAKE” during checkout. The coupon is valid until April 23, 2016 and is good for one use per customer so feel free to share it with friends. Where can our readers go to connect with Pullip.Asia? Do you have a blog, Facebook, Twitter, Instagram, etc? We are on Facebook, Pinterest and Flickr. We also have a blog that we use to announce new product releases and promotions. Alternatively, we can keep anyone interested in the loop if they subscribe to our newsletter through our website. We promise to keep our mailings to the minimal so don’t worry about it. 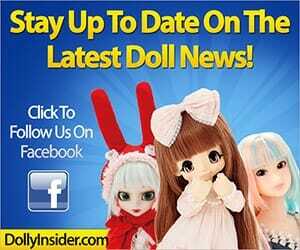 The Dolly Insider would like to thank Jule's and Pullip.Asia for taking the time to answer our interview questions. We hope you, our readers, have gotten to know Pullip.Asia. you are the winner of the My Select Dal! All you have to do is leave a comment on our blog in the comment section below related to the Pullip.Asia interview. For example, you may share your shopping experience you had with Pullip.Asia or you can simply offer an encouraging word or two to show your support for Pullip.Asia. Easy right? (Comments are moderated & may take up to 24 hours to display on the site). You may comment as much as you like however you'll only get 1 entry per post. Be sure to visit the site on March 24, 2016 to get a 2nd entry into the giveaway. Thanks for reading the interview and taking part in our My Select Dal Giveaway. The world is a sad sad place with fake versions of beloved collectables, It takes away the originality and value of thoughtful efforts gone to waste. (Any collector would agree) SUPPORT comes from us! So let the Authenticity be made known! Does it mean there are more shops selling counterfeit Pullips than these three below? I knew there were alot of counterfeit pullips but I didn’t realize that there were so many stores that sell them. Good to know there’s a sure place to get the real ones. I had no idea there was a problem with counterfeit Pullips. Good luck to Pullip.Asia in their efforts to provide authentic dolls against such a corrupt marketplace. Pauleen, I used to collect Blythes but I lost interest in them because of fake Blythes. Just when I started to collect Pullip, I felt sad reading about the consumer alert from Groove on this site. I do not believe any true doll collector would be willing to buy fakes if they knew about it. If you ask me, I would not risk buying from ToyMalaysia or Dolls.MOE no matter how many positive reviews they get. If a shop can sell us fakes, what is to stop them from putting up fake reviews that favour themselves? Just a thought. Craze4Dolls, thank you so much for this interesting interview. I live in Singapore so I might give Pullip.Asia a try soon. I really hate fakes or counterfeits or whatever you want to call them. 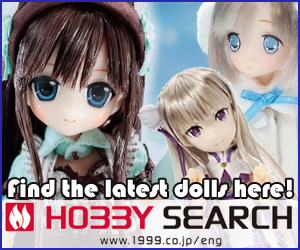 I think having them around just cheapen the hobby as a whole and no doll collector would want that. Wow! I had no idea that there was a counterfeit problem with pullips in Asia. This is a very good and enlightening interview. i got a couple of dolls from them and the customer service provided was perfect. their prices are pretty competitive and reasonable. collection is pretty wide too. Very interesting interview. Counterfeits are a serious issue in many industries and clearly dolls are no exception. As a doll collector, authenticity is the most important aspect when making a purchase. Although I wonder, how many people knowingly and willingly buy fakes, ’cause that’s a problem too that also affects the original manufacturer. Pullip.Asia has an amazing selection of dolls in stock and their Authenticity Guarantee is really great for collectors. It’s awesome Pullip.Asia offers to help customers place an order for any Groove doll. I enjoyed reading the interview. Thanks for the coupon code!